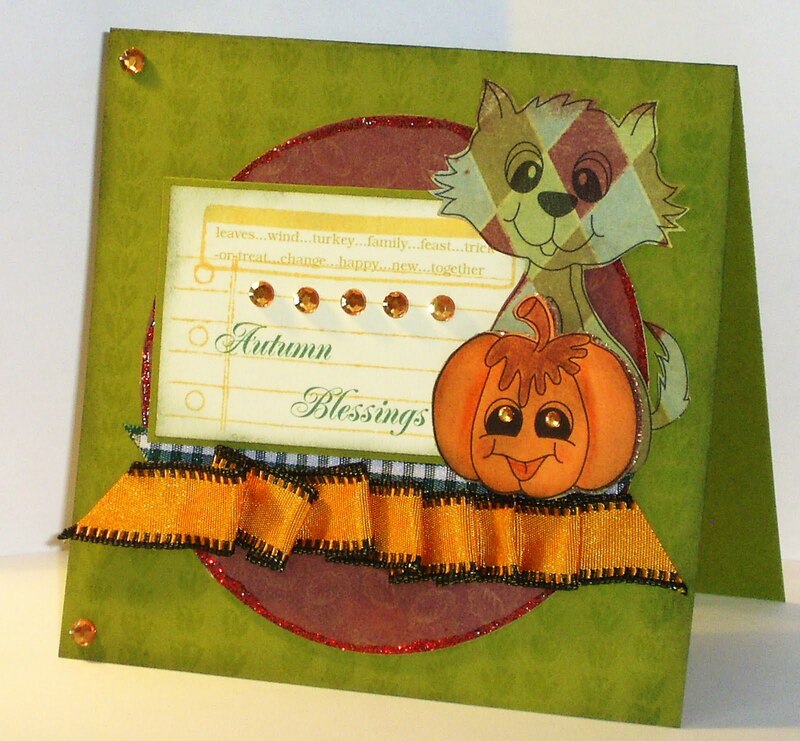 Inky Dream: Fall Is In the Air! Hi everybody! Today is the start of a new challenge at Kaboodle Doodles. I just love these colours at this time of year! 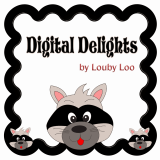 Our sponser this week is Digital Delights, and they've got some of the cutest digi's around! The lucky winner will receive $10 to spend in their store! For my card I used the cat with pumpkin stamp. So sweet. 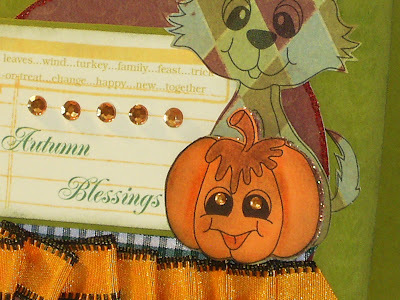 I decided to paper piece both the cat and the pumpkin, as I'm a bit of a paper-aholic! Best of luck to those who play along! It's sure to be a fun challenge! The cat and pumpkin are too cute and the color scheme is gorgeous. Beautiful card;love the ribbon:) !! this is just SO cute!!! love the ribbon too!